MOVEMBER – It’s more than just growing a moustache. So how can you get involved? 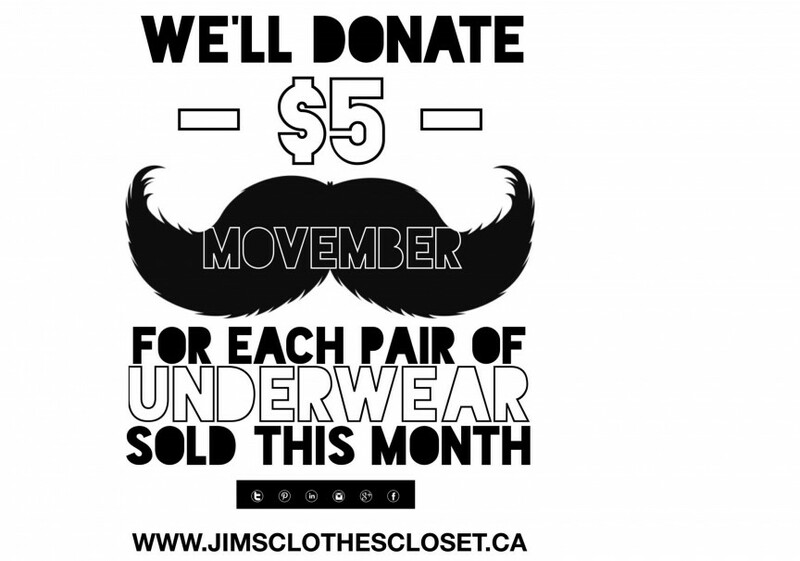 For the WHOLE month of November (popularly known as MOVEMBER) Jim’s will DONATE $5 FOR EVERY PAIR OF UNDERWEAR SOLD IN OUR STORES to the Movember campaign! Get ahead on your holiday gift shopping or feel better about adding to your personal collection knowing you’re contributing to a great cause. Talk about it! Start a healthy conversation with the information you already have or that you’ve just learned. Creating awareness on these issues is a HUGE part of the movement. Get active. Take a friend or family member with you on a nature walk or get someone to join a gym with you. If you need someone to motivate you, there is someone else out there who needs the same push. Buddy up. Stay active – stay healthy. Encourage other participants. Not everyone can grow the perfect ‘stache but they come in all shapes, sizes, and bushiness…compliment your fellow moustache growers. Keep the conversation rolling all month long. GET TO IT – Like us on Facebook and share our Movember post so your family and friends can see. Spread the love for the men in your lives (The link to this page is included). ****AND STAY TUNED for a FACEBOOK GIVEAWAY this month (November)! Thank you from all of us at Jim’s and Happy Movember!